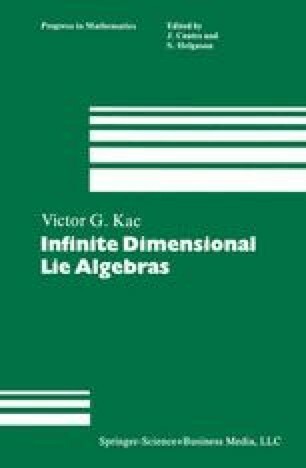 In this chapter we describe in detail a “concrete” construction of all “nontwisted” affine Lie algebras. It turns out that such an algebra g can be realized entirely in terms of an “underlying” simple finite dimensional Lie algebra ġ. Namely, its derived algebra [g, g] is the universal central extension (the center being 1-dimensional) of the Lie algebra of polynomial maps from ℂX into ġ. In fact, the “Fourier transform” of the latter algebra appears in the quantum field theory, and is called a current algebra.